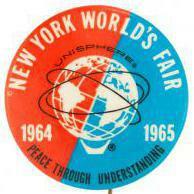 I've read all the posts listed under General Discussion (some 17,166 posts) under that heading and many, many more in other topics concerning the 1964-1965 World's Fair. Going back some 18 years (some pre-911) it provides a fascinating history of discoveries and events concerning the Fair. (Confession: I actually had to ask an older member what PTU actually meant. I should have been able to guess but---) Some of the posts are actually voices from people who are no longer with us, and I missed out on not being able to actually post on their topics of choice. Some are sadly missed. I wish I got to meet Ray Dasher (with his flag raising and days in the park on his Segway) and AMFMonorail (Randy Lambertus). So my question is this----What happened to some of the most prolific and knowledgeable posters here? So in no apparent order (except maybe contributions): Hoodlock (Bruce) ParkBench Rose YaddaYadda Mike Kraus Ken Thalheimer Marc Williams JMCSweeny RayinPasa Elizabeth Klug Mary Ellen (I know at some point Bill Young changed his forum name to nywf64.com) Thanks in advance to everyone who can help. Now I just need to get a hold of the Dasher tapes---- Any ideas?? After reviewing hundreds of older posts----- This is pretty much a yes or no question----- Have the photos posted in older posts been permanently lost to history, or can they somehow be resurrected? For sale: https://www.ebay.com/itm/RARE-1964-Worlds-Fair-BELL-TELEPHONE-CHAIR-vintage-RETRO-Pavilion-Ride-NEW-YORK/113702530298?hash=item1a7932ecfa:g:fT0AAOSwlXpcn4L0 Seller says it's in good shape. I hate to think what bad shape is. I'd also like to see some kind of a "soundtrack" with the photos. Putting it together (proper sound with proper exhibits) would be a monumental task. Thanks for you kind words, Glen. I discovered this forum around May of last year, so I was late to the party. 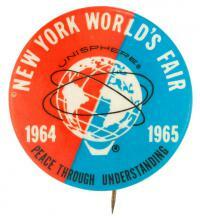 For some reason, when I googled "New York World's Fair" (all through the years) the forums never came up. I only wish I had found it earlier. My curiosity about some of the former members began when I started reading the back posts, and some of those listed not only used to post every day, but sometimes multiple times in a day. So their interests would have been as great as, or greater than mime. So for them to "drop off" the forums kind of baffles me. I suppose one is entitled to switch interests, but I have trouble thinking they abandoned them. If anyone knows of the members listed are on Facebook, tell them to drop by, so as least I can cross them off the list. The only one I "found" was a duplicate--Ray Dasher was RayinPasa. Again, Glen, thanks for the kind words. Run, Larry, run. Now I know why he was knocking over dumpsters. If any of you (Bill, Larry) find anything from the vault, let me know if you wish to part with it (or copy). Thanks. Larry-- When people paid you for their fare, did they put the money in your hand, or did they just drop it in a "money box"? Just curious. "Mister, why are you carrying around a tape recorder?" One wonder what memories we don't remember, or have little recollection of but become relevant later on. I could very well have got off the bus at the Fair, and watched as my Dad paid Larry for the fare, asked some questions and shook his hand, thanking him. And being a Scout walking over to the Boy Scout exhibit, and shaking hands with Bill and telling him I'm from Massachusetts and maybe I'll see him at the Jamboree. One wonders. (Sound familiar?) Unfortunately, when one gets to older posts in this Forum, most of the attachments are corrupted, unworkable, link to a 404, or brings you to a completely unrelated photo. (A hockey player for example) Well, going back some 12 years, these photos showed up in an unrelated thread and have me intrigued. Can anyone identify either of these two photos and tell me what they are? 1: What and where is this impressive building? and 2: What and where is Ruby's World of Tomorrow? Ok, thanks. I misunderstood the question. Looking at that image, it sure looks like plates of food on a table. 7-up, maybe? The videophone always made me wonder if Ma Bell would have better off partnering with someone who already made television sets or acquiring a feature of their display technology. For example, the earliest video games had no display technology, they just hooked up to the back of your tv and used the television display. Could the videophones been adapted to the television (everybody had one), and just have a camera to transmit your video signal. I think this would make for a smaller electronics package and would eliminate the need for a display (using the tv) and the phone line could run to the living room. It would be a combo tv/videophone. Combo units were big then. Remember the tv/radio/record players consoles with built in speakers that weighed 200 lbs? It appears the two women on the right are dressed in the same identical clothes. And if anyone wanted the trash can, it would be a quick grab and go from the freeway. Is the question, "What Pavilion was this filmed in?" or "What Pavilion is in the opening credits?" In the intro it says, "From New York, the World's Fair City" and not, "From the World's Fair in New York City". Wasn't RCA the only Pavilion with a functioning studio and equipment? I would have to guess RCA. It's similar to the expression I had while walking around the Fair as a twelve year old. Yes Virginia, this place once existed. Not only was this Pavilion one of the less photographed, it was one of the least well known. The phrase "Dominican Republic" not only does not appear in any of the official Guidebooks (1964, 1965), it also does not appear on any of the official Time-Life Maps (1964, 1964-1965). The Pavilion shown in the photo is a part of the Caribbean Pavilion, which is listed in both Guidebooks and Maps. When I first came upon this Pavilion (in photos), I thought it must have come from another World's Fair. But you can clearly see in the photo above, the lighting masts for the Unisphere and the NY Towers in the background and can triangulate back to the Caribbean Pavilion. It seems that Mr. Moses (or others) had the most trouble with our South American neighbors (I'm looking at you Argentina). And to think that the Dominican Republic is the most visited destination in the Caribbean (United Nations World Tourism Organization) although it was being ruled by a "leftist" government (in 1964) and there was a civil war there in 1965, later being stabilized into a more"friendlier" one to the US (I'm looking at you CIA).